As society grapples with the reality of climate change, many believe that technology will somehow save the planet. As this book argues, that is not enough: larger-scale collaboration, coordination, and funding is needed. Individuals and groups, even with significant personal resources, will not be able to reverse the present course of ecological disaster. What our endangered planet needs is broadly supported community action, which is what happens when people come together and organize for the common good. What we need, in short, is political structures and actions. The essays in this book examine the political structures that have led to our present crisis and offer concrete lessons from the U.S., Japan, Brazil, and Greece, that can, if heeded, bring us back from the brink and toward an ecological civilization. This book of essays emerged out of some of the presentations that were given at a major conference, Seizing an Alternative: Toward an Ecological Civilization. that was organized by Center for Process Studies and held at Pomona College (CA) in June 2015 and attended by more than 1500 people. 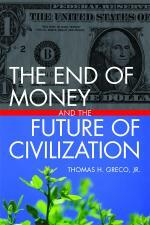 It includes two of my own essays, Greece and the Global Debt Crisis, and How Private Currencies and Credit Clearing Exchanges Can Help Save Civilization, as well as essays by John Cobb, Ellen Brown, Gayle McLaughlin and several others. Can we afford health care for all, free education for all, housing for the homeless, food for the hungry, a decent and efficient national system of transportation, a clean and healthy environment, a fair and equitable distribution of our collective production, and a true democracy in which people decide their own fate and how their money is to be spent? Politicians of all stripes tell us we cannot. “Where will the money come from?” is their plaint whenever such measures are proposed. But other countries have many of those things. There is a vast number of countries that have free or almost free universal health care, as can be seen in this list. And here is a list of 11 countries that have BOTH free universal health care AND free college. The list includes not only affluent countries like Sweden, Norway, Denmark and Finland, but relatively poor countries such as Greece, Argentina and Brazil. Way back in 2005 I rode from downtown Shanghai to the airport at Pudong on the maglev train that reached speeds up to 431 kmph (268 mph). Yet, when President Trump calls for an almost $80 billion increase to the military budget, hardly anyone asks, “where’s the money going to come from?” and the measure easily gains Congressional approval. We cannot afford continuation of the Empire with its deployment of military forces around the world and endless overt and covert warfare. We cannot afford continuation of the interest-based, debt-money regime that forces unnecessary expansion of economic activity and centralizes power and concentrates wealth in the hands of a super elite. We cannot afford continuation of the environmental destruction and climate change that is caused by the fossil fuel based economy. The $727 billion U.S. military budget for 2019 dwarfs all other segments and amounts to 61% of all discretionary spending. To put it in perspective, the U.S. spends many times more on military than any other country. According to the National Priorities Project, the next highest military spender, China, spends only about one third as much on its military. I have written extensively about the defects inherent in the centrally controlled interest-based, debt-money regime, which is driving the endless expansion of debt that makes economic growth an imperative. See, for example, my article, Money, debt and the end of the growth imperative. Ultimately, if we do not take appropriate action, nature will decide our fate. See the work of Joseph Tainter and Jared Diamond, starting with this interview of Joseph Tainter by Jim Puplava. In a future post I will elaborate upon these points, but for now I recommend viewing the recent Jimmy Dore show at https://youtu.be/yHpN7X9iK3o. Seizing an Alternative, Pomona College, June 4-7 – Free Plenary Sessions, Scholarships, and other reasons to participate. John B. Cobb, Jr.: 9:00 a.m.
Herman Daly-John B. Cobb, Jr. discussion moderated by PRI’s Warren Olney (recorded): 9:00 a.m.
Southern California Edison makes ADDITIONAL STUDENT SCHOLARSHIPS (limited) available. To apply, write to info@PandoPopulus.com.